Pipedream has released a POP display to complement its new range of sleek Pure Aluminium massagers. The 36-piece POP display, designed for optimal space conservation, comes pre-packed with two boxes of each Pure Aluminium massager style. The top row of the display holds the five-inch boxes, the second and third rows hold the eight-inch boxes and the fourth and fifth rows hold the ten-inch boxes. 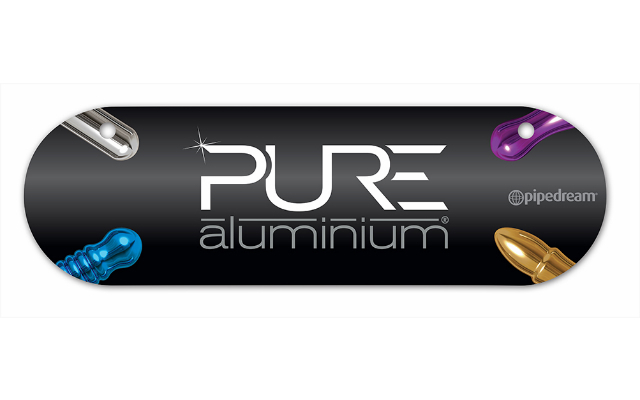 The Pure Aluminium POP display is now in stock and shipping. Contact your Pipedream distributor or visit PipedreamProducts.com for more information.